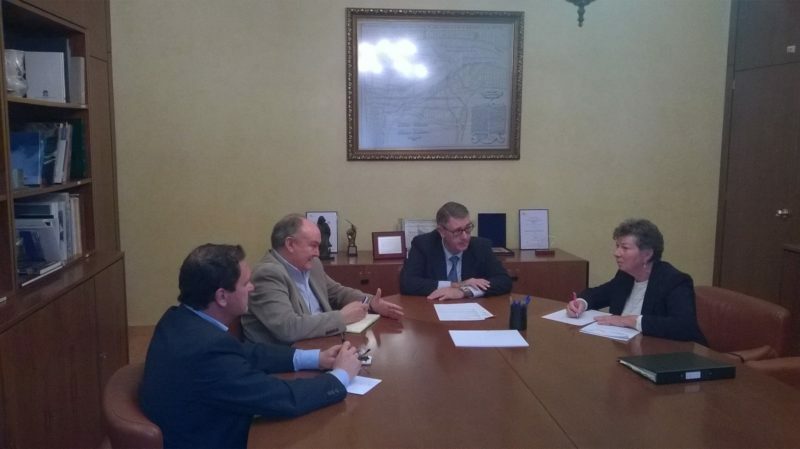 Thursday 29th November 2018 marks another step forward for the CRA – The President of the CHS (Water authority throughout Spain) Mario Urrea, received a delegation from the CRA Silvana and Geof Buxton) who were accompanied by the PSOE Councillor Gaspar Miras Lorente. Mr Urrea confirmed that the CHS wrote to the Town Hall on 1/8/2018, and no reply has been received to date. Upon receipt of the Town Hall’s compliance with the CHS requirements, the green light will be given for the compilation of the project, and work on the rambla re-direction can commence within two months of the financial agreement being reached. Gaspar asked about the financial responsibilities for the re-direction of the rambla, to which Mr urrea replied that the CHS are not responsible for the financial aspect of the works, but Mazarrón Towh Hall can apply for Government and European funding. After a brief conversation regarding the adverse effect that the rambla works were having on the urbanisation, amongst which the delay in approving the Plan general and the consequent delay in the Town Hall adopting the urbanisation, Mr Urrea instructed his secretary to contact Mazarrón Town Hall requesting a reply to their letter of 1/8/2018. An invite will also be sent by the CHS to CARM (Regional Government) and Mazarrón Town Hall, for an urgent agreement on setting up the Round Table proposed by the Regional Assembly in March 2018, and to which the CRA will be invited to take part.